Kansas is one of those states that typically doesn't ring out as a musical hotbed by any stretch (and I'll keep my opinion to myself about the band that shares its name with the state), but this excellent group called Lawrence, KS home. 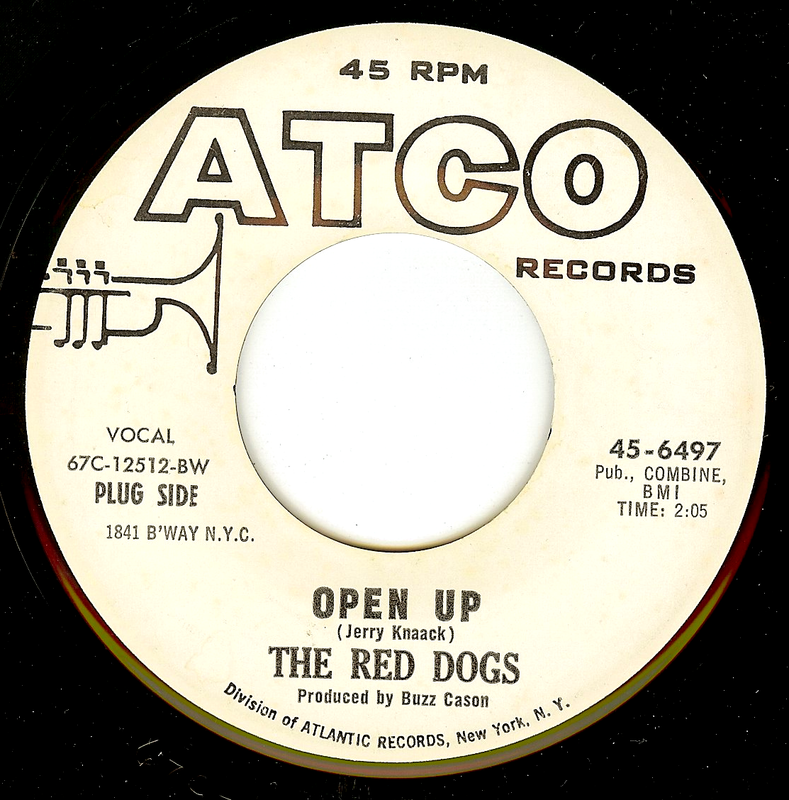 The band started out around 1965 as the Limits, but when the group was hired as the house band of the Red Dog Inn (which is now known as Liberty Hall), the group was renamed The Red Dogs, mid-1965. The group packed in massive crowds which sparked their signing to Atco, and by 1967, the group had taken their soul influences to Nashville where they recorded this fabulous debut side with producer Buzz Cason. Buzz captures the excitement of the group whose hard work on the stage is evident in their superb performance on this track. Great vocals, unique harmonies, killer organ and fuzz guitar, and most powerful of all; the incredible drumming that cuts a groove and doesn't let up for an all-too-short but perfect 2:05. Yeah! I dig that tasty guitar solo! Great tune here. However,the flip side,in my humble opinion is better! It's "I'm Gonna Hate Myself In The Morning". 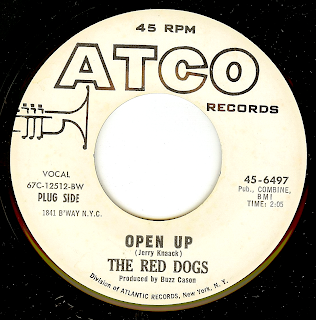 Growing up in Sioux City,Iowa......The Red Dogs were featured at least every six months,at The Auditorium. These guys were even better "live" than on the recordings.